A.J. Van Loo of Vandelay Productions said Williams owes him $1,200 for video production at Dante’s in downtown Portland last November. 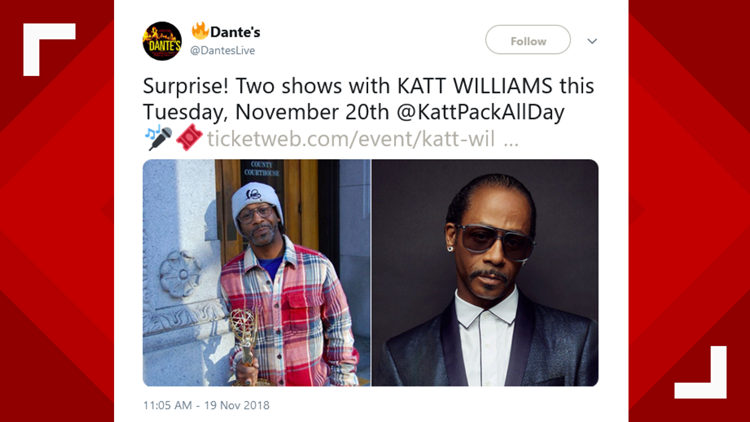 PORTLAND, Ore. — A video crew hired to shoot a stand-up routine by Katt Williams said the comedian left town without paying. “It was a lot of work and no compensation. I’ve got nothing to show for it,” explained Van Loo. 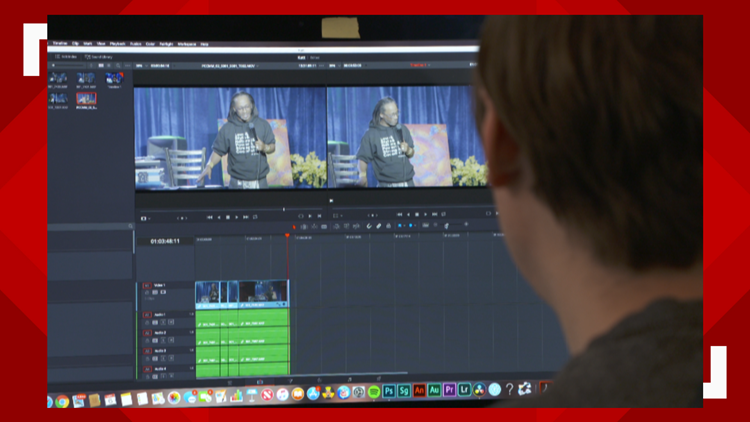 Van Loo hired three camera operators and rented specialty equipment for the comedy show featuring Williams on Nov. 20, 2018. A woman representing the comedian provided a $400 down payment. She told Van Loo the video could be used for an upcoming Netflix special. The unpaid invoice for $1,200 is just the latest problem for the comedian. Both criminal and civil cases against Williams were dismissed on Thursday after he reached a financial settlement with a limo driver. Micah Sierra “Katt” Williams had been charged with fourth-degree assault, a misdemeanor. Williams was arrested Oct. 6, 2018, for allegedly assaulting a driver at Portland International Airport after an argument over transporting the comedian and his dog. After the October incident made headlines, a Las Vegas man came forward claiming Williams never paid for the service dog. Tony Burroughs of Paws for Partners K9 Boot Camp told The Oregonian newspaper Williams owed him $12,000 for the dog. “I feel like I’ve been scammed, Burroughs told the newspaper. Burroughs said the Williams’ manager later returned the dog. 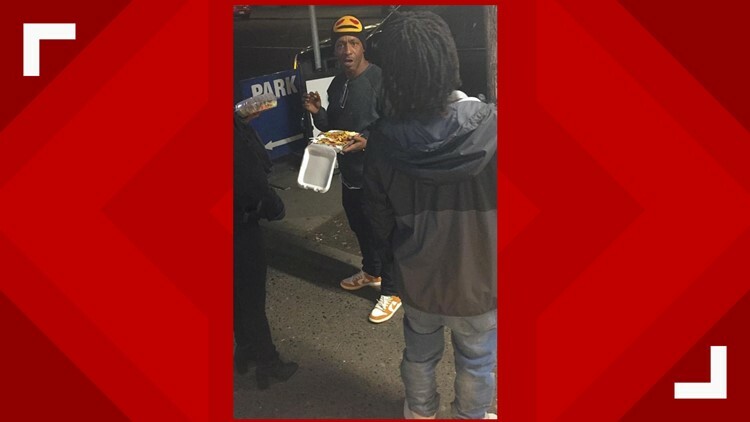 Williams’ allegedly didn’t pay other business owners, including a Portland food cart. “This is the first time this has happened to me,” said Montder Saad, owner of Buns on the Run food cart in Southwest Portland. Saad said Williams left without paying seven dollars for an order of nachos. “I’m like- ‘Hey, you didn’t pay for your food,” said Saad. Williams could not be reached for comment. The representative that hired Vandelay Productions said she no longer works for the comedian. Van Loo admits he is disappointed the video was never used after scrambling to get the necessary crew and video equipment for Williams’ performance. “I was stressed. I basically didn’t sleep for a whole day,” said Van Loo, who has hours of unused video and a $1,200 invoice that hasn’t been paid.